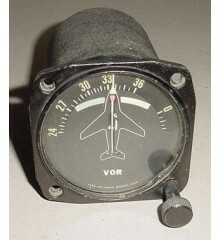 De Havilland DHC-2 Beaver Slaved Directional Gyro Indicator. Model SG-100.It was removed from a salvage aircraft. Very clean item. It shows very well and it would make an excellent show piece for the bookshelf in the office or home or just as a mock up panel item.